Peel and wash the vegetables, then cut them into small 2mm cubes. PlaceThe Loire Valley, a prime spot for fishing them in a large amount of water, bring to the boil for several minutes and then leave to cool. 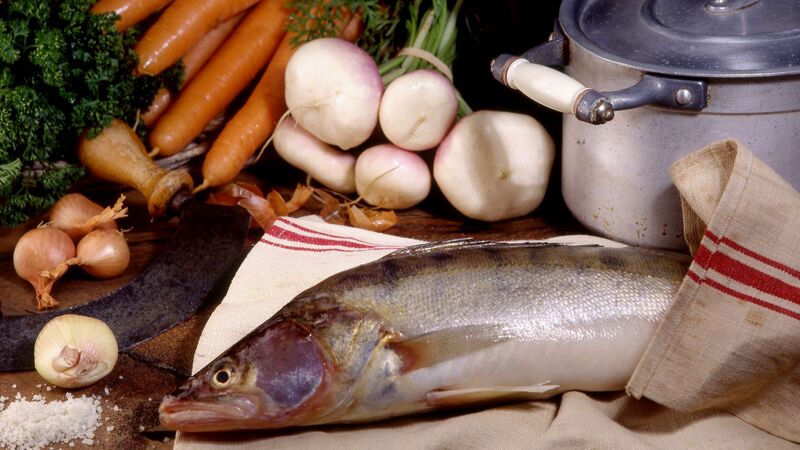 Prepare the Loire eel: remove the skin and cut out the fillets; cut them to the same thickness as the vegetables. Fry slowly all together in olive oil. Take the boudin blanc sausages, remove the skin and slice thinly. Brush with fresh butter to finish cooking it. Set aside on a hot plate. Finely chop the shallot and chives. Mix them into the garnish and add a few drops of truffle oil. Heat up the veal stock. Arrange the garnish in a circle in the middle of the plate. 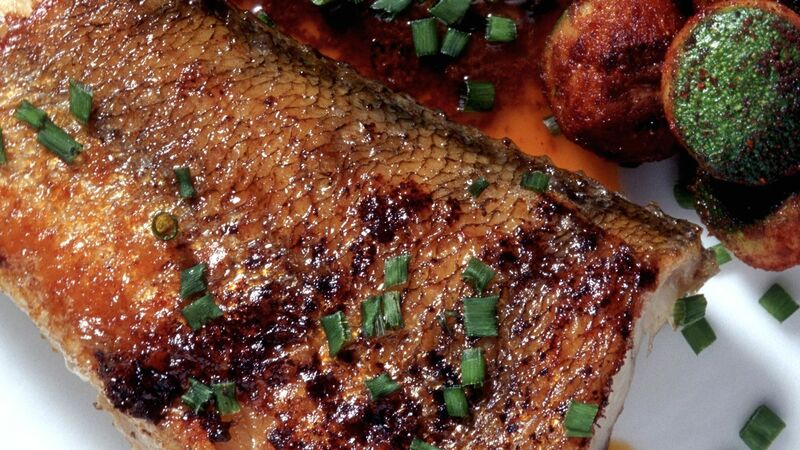 Place the zander on top of the garnish, and draw a line of sauce around it. Sprinkle with a couple of drops of truffle oil.